Night time is my favorite time to photograph. It is cool, solitary, challenging and peaceful. Capturing star trails, moon shots and the colorful Milky Way were among the first shots I wanted to learn how to take after buying my first DSLR. Astrophotography reminds me of the infinitesimal space we occupy in the grandness of our universe, like that scary yet calming feeling of being on a desert island - out in space. When juxtaposed with Earth features like trees, mountains and man made structures, celestial photographs tell an open ended story that leaves much to be imagined. 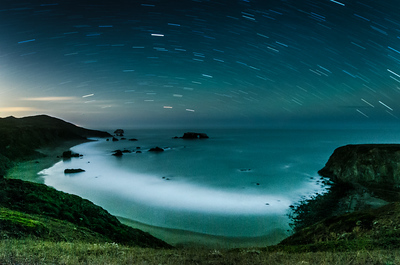 The Milky Way on the West coast in late summer is awesome. Dream big. The last time the moon orbited this close to Earth was on Jan. 26, 1948, when it ventured 30 miles closer than the November 2016 full moon. The next time the moon will be this close is in 18 years - Nov. 24, 2034, when the distance between the Earth and Moon will be 40 miles closer. Bodega Harbour Golf Links seen in the distance sits in Bodega Bay on the Pacific coast of Sonoma County, CA. 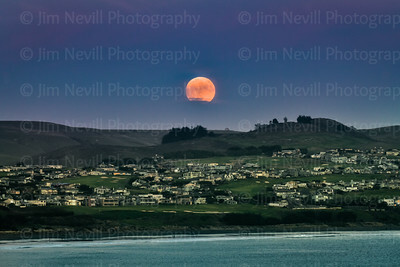 A beautiful foreground for such a special celestial event. By day, Tahoe is miraculously beautiful; by night, the same. 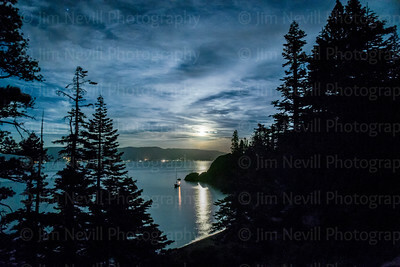 Here is a 3/4 moon just cresting the hill on the Nevada side amidst a cloud covered sky with a sailboat in the foreground who's found a rather tranquil anchorage to watch the show. Alfred Hitchcock made the Potter Schoolhouse famous in the 1963 film, The Birds and Ansel Adams photographed St. Teresa of Avila in the 1953 while passing through. Since then, both buildings have become Sonoma County treasures. Despite being photographed countless times, this one of a kind perspective was taken from the apex of my rooftop, on a widow’s walk half a mile away. 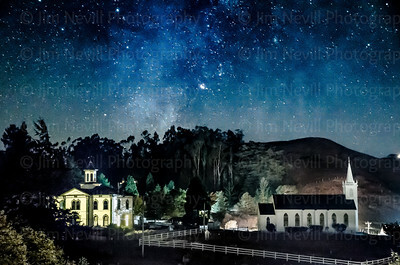 I shot the photo at night because the stars in Bodega are incredible, and it better tells the historical tale of these 1800’s structures. This is a single exposure image, no overlay, bracketing or HDR. This photograph was first published in "The Press Democrat" on December 18, 2012, accompanied by a full page article written by Andrea Granahan. In July 2013 it won first place in Congressman Jared Huffman's 2nd District Landscape Photo Competition. I've always loved oak trees. They remind me of home back on Long Island, NY but they also represent strength, warmth and seasonal change. 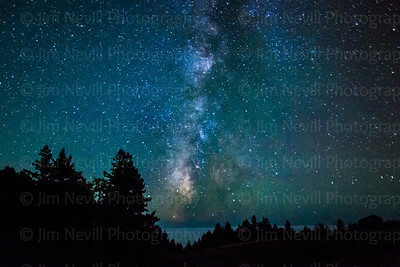 At this particular location you can see this black oak perched on a cliff edge with the coast in the distance and the glorious Milky Way in true form overhead. The western shore of Lake Tahoe is one of my favorite places in all of California for it vast beauty, dark skies and sandy white beaches. 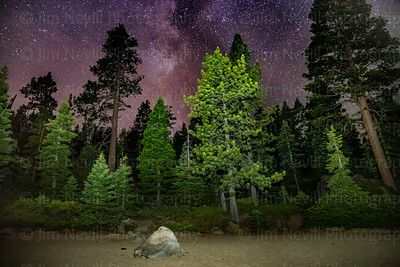 In this shot I captured the mid August Milky Way in the western sky over the tops of a mixed pine and fur forest. It's no secret how much I love Yosemite. Because of my work leading teens on wilderness trips I have had the opportunity to visit the park dozens of times. 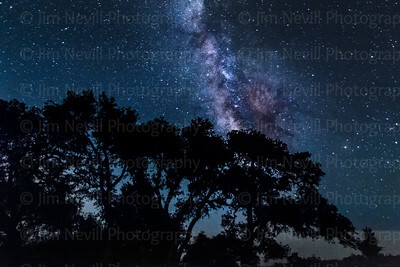 On this trip, long after the students were snuggled in their tents and my co-leaders were on watch - I hiked out into the dark night seeking scenes like this to shoot. 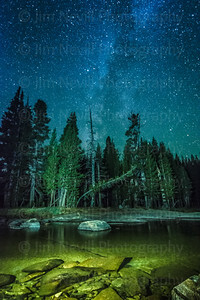 The Milky Way was plainly visible and the Tuolumne River flowed gently and clear which allowed me to light it with my headlamp, illuminating the submerged river rocks. The process of photographing well known locations is intimidating for me. I have spent many years (20 to be exact) visiting this Sonoma Coast location and as a result have a huge respect for its power and beauty. I have seen a lot of great work done here by other photographers and I wasn't willing to show up and repeat their good ideas. In general I try and find my unique voice in daily life and hopefully accomplished that with this arching starscape over the aquatic arch. This is a single long exposure, no HDR - just time and experimentation. 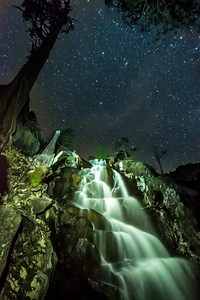 Shot at Eagle Falls on the west shore of Lake Tahoe on the evening of 11/17/14. I have been dreaming of shooting waterfalls under starlight for a while now but for some reason it seems that I end up going to waterfall locations on cloudy nights or during full moons which over-illuminate the dark skies. This time I was onsite when the conditions were perfect for star shots, a sub 20 degree night with clear skies and light winds. I descended 60' or so down a steep boulder field in the darkness hoping to find a vantage point to set up the shot. Until this night I had never done this climb nor heard of anyone else doing it so finding the route down was tricky. Luckily there were some tree roots dangling over the edge so I was able to down climb those as well. When I arrived at the scene I cheered out loud (alone in the woods) and found a location to set up my tripod. The tripod barely fit on the rock outcropping so I was forced to stand on a neighboring boulder and take the photo with a shutter release cable. This is the October 8, 2014 'Blood Moon' - It's called that because, when viewed from certain angles during a total lunar eclipse, the color red is refracted across the face of the Moon and causes it to take on an eerie, red glow when observed from Earth. There is no color alteration here, just the purple afterglow of the recently set sun. 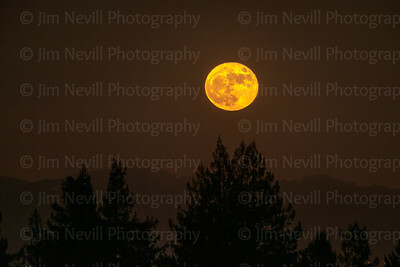 More commonly known as the "Harvest Moon" which is a full moon occurring in autumn, in the Northern Hemisphere usually in September and October respectively. The "Harvest Moon" is the full moon closest to the autumnal equinox (22 or 23 September), and the "Hunter's Moon" is the one following it. 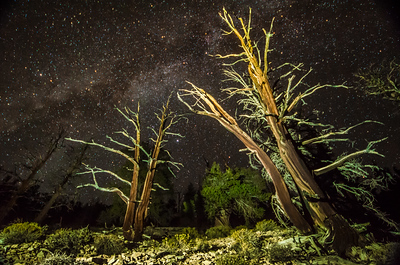 The Ancient Bristlecone Pine Forest is a protected area high in the White Mountains in Inyo County in eastern California. The Great Basin Bristlecone Pine (Pinus longaeva) trees grow between 9,800 and 11,000 feet (3,000–3,400 m) above sea level. In this forest you will find the oldest living things on Earth. These ancient trees live to over 5000 years old and grow on a steep and rocky mountainside at the upper edges of the Mojave Desert. I waited -- and waited -- and waited -- from 1AM to 4AM n August 12, 2015 for a meteor to fly. While taking 169 exposures, each lasting 25 seconds, at least a dozen times throughout the night a Perseid Meteor would streak across the sky just seconds after my shutter closed. 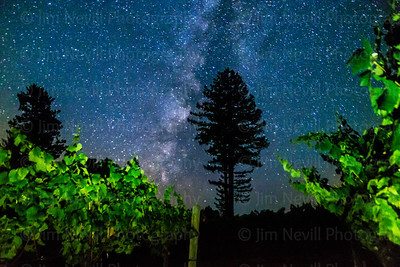 Despite the lack of shooting star I really like the composition of this moment which includes chardonnay grapes lit by my led headlamp and a lone redwood tree. 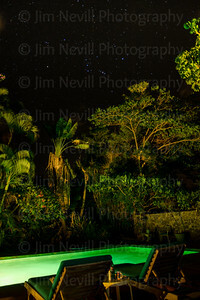 I shot this during a full moon - which is why the rock face and waterfall are so lit-up. 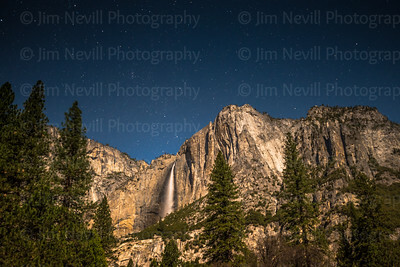 Generally, full moons are the last thing you want for star photos but in the case of Yosemite National Park - everything is awesome all the time. 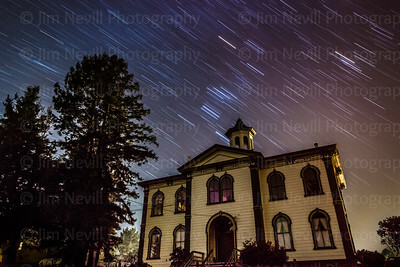 Shot near an ancient redwood grove in Sonoma County, CA on August 10, 2013 during the Perseid meteor shower, on a completely black night. 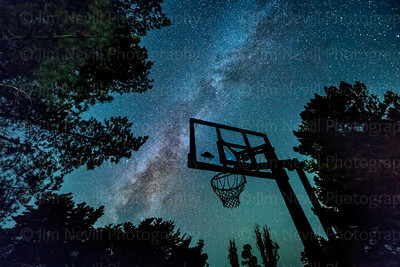 The Milky Way was visible to the naked eye. I chose to compose the gravel road and grasslands into the shot to make it seem more like the photo went off into nothingness. 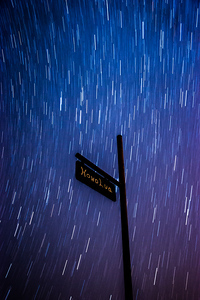 Star Trails over Honolua - One of my favorite places on Earth, H-Bay faces the dark north Pacific and it's outer sister island, Molokai. The stars are immense and the perfection of this place is unmatched. I lit the sign with the lights from my jeep. The Tree of Life looks Photoshopped - but its not. This is a single exposure taken on a still, dark night. 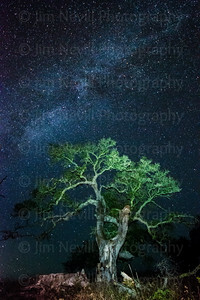 The color results from headlamps brushing light across the scene during a 30 second exposure. Nights like this are as awesome in real life as they look in photos. Among my favorite things about shooting at night is the ability for teh camera to perceive things that the human eye cannot. Over the duration of 25 seconds, at f/3 or better, with high ISO the camera sees all this color and detail. 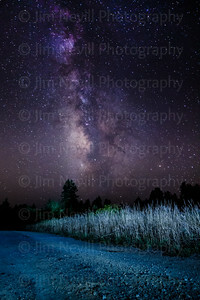 To us it looks like a bright starry night with a milky way dust cloud striped across the sky - to the camera, much more. 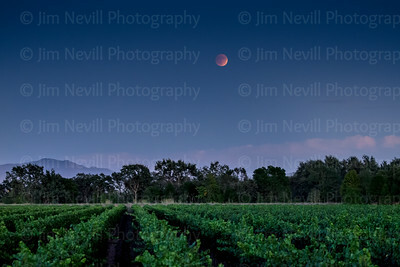 (July 13, 2014) - I only had time to shoot about a dozen frames before this lunar rise got too high above the horizon. 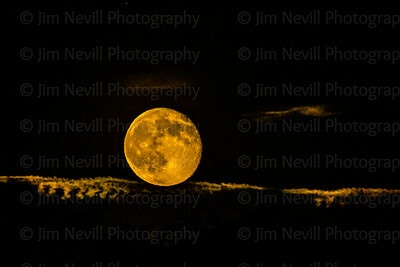 This frame, shot at 480mm, caught a passing cloud structure that appeared to look like a spinal cord -creating the illusion that the moon laid in front of clouds (which impossibly would have put the clouds out in space behind the moon). A supermoon is when a full moon is the closest to the Earth on its elliptical orbit, resulting in the largest apparent size of the lunar disk as seen from Earth. The technical name is the perigee-syzygy. The term "supermoon" is not astronomical, but originated in modern astrology. My favorite wintertime constellation, Orion always seems to find me wherever I am. In this case, facing the great warrior was over Lahainaluna Mountain on west Maui. The pool was in the backyard of our good friend ohana retreat.